Medicaid services are among the many services which Augulis Law Firm can provide to clients. Medicaid services are something many people do not realize they need until it is too late to take action. Unfortunately, many of the issues which elder law attorneys provide assistance with are things that people do not consider until they can no longer take advantage of the full protections afforded by law. 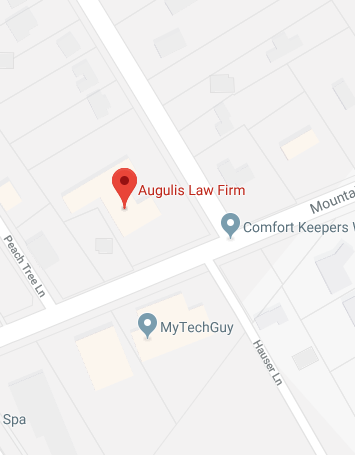 Augulis Law Firm will help make sure you do not miss out on the availability of any legal tools you can use to protect your assets, your autonomy, and your loved ones as you get older. Elder law services are not only for older people either. Everyone needs to make a plan in advance to protect themselves in case of a medical emergency, to protect their assets, and to protect their legacy. Those are the things elder law attorneys help you to do. When should I talk to an elder law attorney? What can an elder law and Medicaid planning attorney do for me? How can a Warren, NJ Medicaid planning lawyer and elder services attorney help? Elder law attorneys help you to grow and protect your assets, so it is a smart choice to get help early on so you can build a substantial nest egg. With the right advice, you can take advantage of tax breaks to make it easier to save for college and retirement. You can take advantage of Medicaid services to make sure your money is kept safe in case you must go into a nursing home and face high nursing home bills. You can even protect your money and property after you are gone by taking steps to ensure your assets benefit heirs, without being lost by those who inherit who are not responsible with money. While asset protection is one of the most important things elder law attorneys help with, it is not the only thing that is important when considering your future. There is a risk of illness or injury which could leave you incapacitated, unable to manage your affairs, and in need of regular care. While trusts and the use of a power of attorney can protect your assets when the worst happens and you are left unable to act on your own, there are other legal tools to use to ensure your wishes about healthcare are communicated. Since incapacity could happen at any time, talking to an elder law attorney early on is important to avoid being left unprepared when a crisis arises. What Can an Elder Law and Medicaid Planning Lawyer Do For Me? An elder law attorney can help you to identify the issues which will affect your future security. Many people are unaware of the many different steps they need to take to protect their families; maintain some autonomy in case of illness; and address end of life issues. An attorney can talk with you about your family situation, your wealth, and your goals for the future and can let you know what legal tools you should be using to achieve your dreams. An elder law attorney also assists with making use of the right legal tools for asset protection, advanced medical decisions, and protecting your loved ones at the end of your life. We can help you to create wills, trusts, power of attorneys, living wills, advanced directives, and a variety of other legal arrangements that give you and the people you care about peace of mind. We provide this help to people young and old, so never hesitate to get help. How Can a Warren Medicaid Planning Lawyer & Elder Services Lawyer Help? Augulis Law Firm wants to help you to make full use of all legal tools available to protect your future, provide for your loved ones, and keep your assets secure. We will assist you with the creation of a comprehensive Medicaid plan and can provide guidance on addressing all elder law issues. Give us a call at (908) 222-8803 or contact us online to find out more.